America's #1 face scrub brand, St. Ives have recently released a new series of face scrubs. 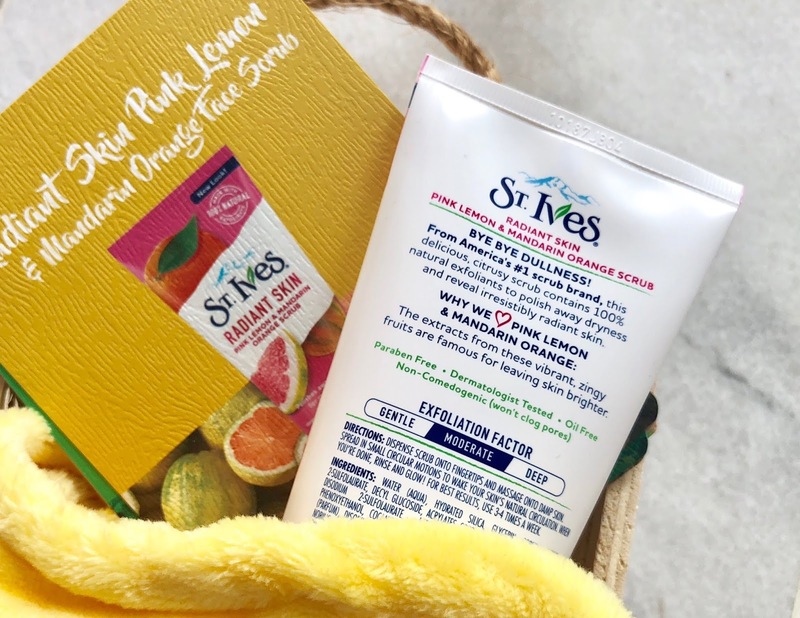 Do you know that St. Ives beauty products are made of 100% natural defoliants, extracts and moisturizers? The scrubs were made of harvested Walnut shell in California, washed, dried and cracked before milled into fine powder to create softer scrub. Today I will share some juicy bits on Pink Lemon & Mandarin Orange Scrub, one of the 6 variants launched. The given first impression is good with it's bright attractive packing in a 170g squeeze tube. 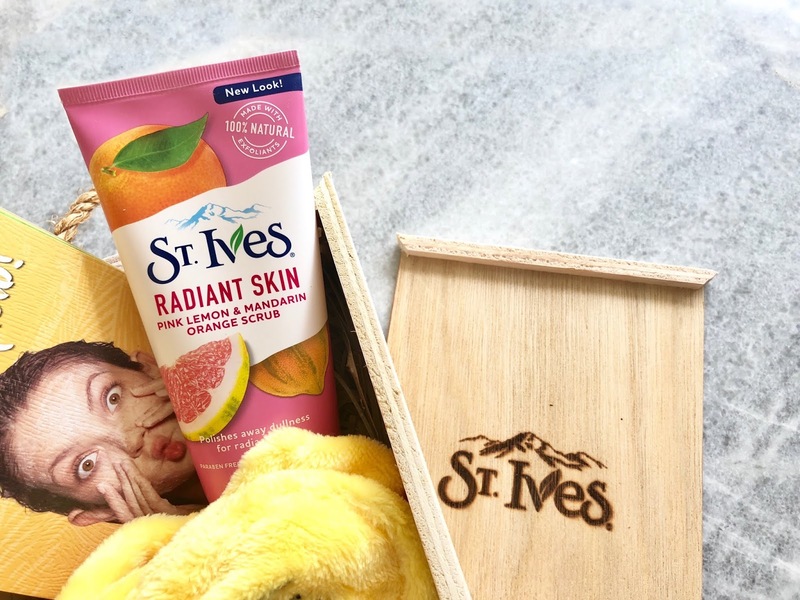 The scrub contains pink specks of pink lemon and mandarin peel extract which explains the refreshing citrus smell. With these active ingredients, it scrubs away dull skin to reveal a more even skin tone and aids in lightening dark spots. St. Ives's Pink Lemon & Mandarin Orange Scrub is also Paraben Free, Dermatologist-tested, Oil Free and Non-comedogenic. I wished the image can be clearer to show you the scrub bits. Although it's as fine as the white sands on Boracay Island (you can see the dried speckles of it on my lips), it is still rather coarse in my opinion so best to use the lightest pressure when scrubbing in circular motion and keep it short. After the rejuvenating session, my skin is noticeably smoother and fairer. To be honest, it works well like a facial cleanser too (minus the foam) because my face felt cleaner with some retaining moisture even without initial cleansing. Personally, I would love to get my hands on St. Ives's Oatmeal Scrub and Mask because of it's mild and nourishing 2-in-1 scrub mask property but do check out their 5 other variety besides the above mentioned Pink Lemon & Mandarin Orange Scrub. 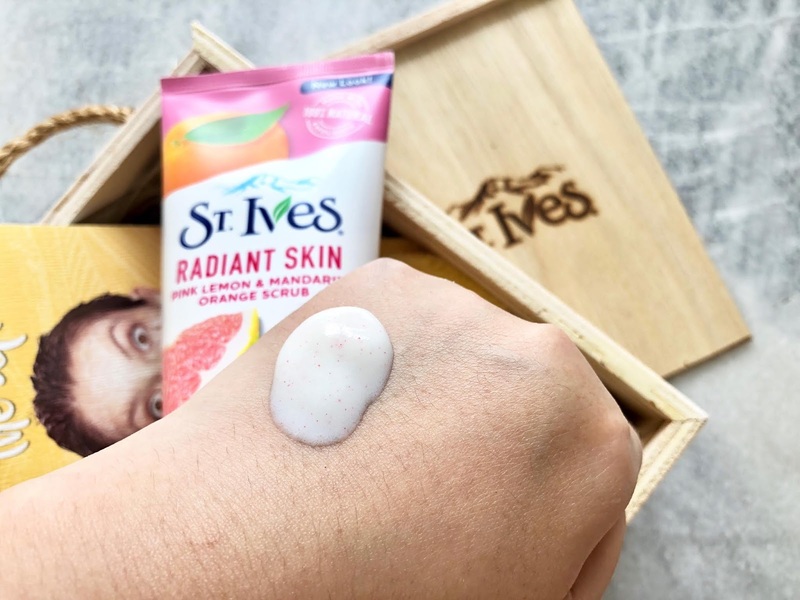 These 6 new series of St. Ives face Scrub are now available in Malaysia at RM24.90 each at 6oz. For more information, please visit their official Facebook page. Cheers to a brighter and more radiant skin! Once a month, Aunt Flo will pay us ladies a visit. Despite knowing her arrival means we are still healthy, but don't you agree that it gets us all drained if not worse. An extra comfort is always well appreciated, which is why its important to choose the right sanitary pad. I have recently discovered Hersday sanitary napkins and it just turned my period game around. Hersday's sanitary napkin is really thin and initially it did raise some doubts. However I was willing to give it a try because I know brand X can be rather heavy and bulky during my heavy period, not to mention 'stuffy'. Can anyone relate to any of those experience? You know you have extra work to do when you woke up to the image on the right. Brand X felt soaked like it always have (I meant REALLY soaked), leaked as you can see and very wet upon touch *urgh*. Hersday on the other hand is much dryer with less mess to clean up. I am actually amazed because Hersday's sanitary pad is actually thinner than the ones I use. How the hack did it hold in so much?! Each Hersday sanitary pads has this blue piece of absorbent in the center like some baby diapers, hence it helps to keep our southern ladies dry during our most active days. Personally, I have no particular preference on wings or non-wings sanitary napkins but for those who prefer wings type for better adhesion, they may be more receptive to this brand. I found that the back adhesion is stronger in comparison to my usual liners and they don't shift off place easily. Lift sticky flap to remove napkins. Hersday offers FREE Shipping and 100% risk-FREE Money Back Guarantee. Part of profit will be donated to Breast Cancer Community. If you subscribe to their monthly subscription box before 15 August 2018, there will be a promotion rate for only $4.99 instead of the usual $12.99 for the first month! 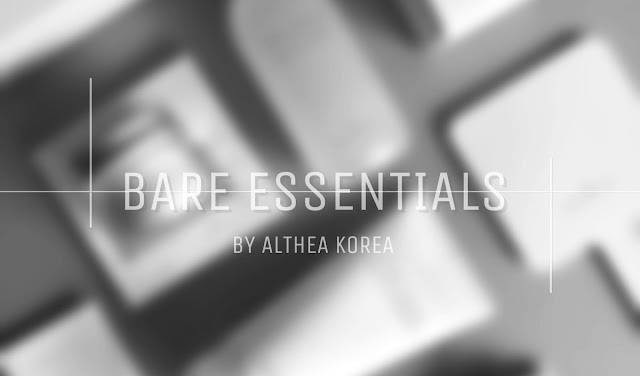 A while ago, I was invited by my favorite one-stop k-beauty online store for an honest review on their very own latest exclusives; the Bare Essentials. As you would have known by now, Althea Korea holds many authentic Korea products that caters from head to toe at a slash of market price. Perfect for smart beauty lovers. 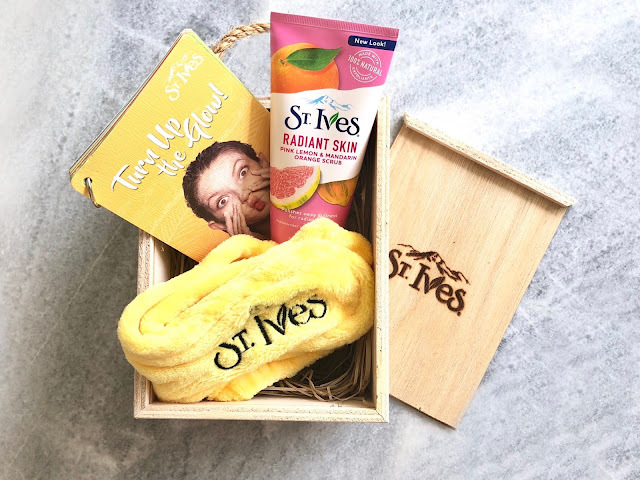 Bare Essentials is a simple 3-step skincare products that promises lush beautiful healthy skin by giving only what your skin needs and nothing extra. Plus points for their minimalist design. The key ingredients to the Contouring Cleanser are Ice plant and Lemon verbena leaf. Known as the Water Storage in the Desert, the Ice plant has hydrating and anti-inflammatory properties that soothes the skin. Lemon verbena leaf on the other hand, besides having calm refreshing aroma, it holds powerful healing effects with abundance of Vitamin C, E and Citrus; detoxifying the skin from within. This proverb fits perfectly with this Contour Cleanser because it foams up so easily when compared to other cleansers. You can use a Beauty Foam Maker or simply leather up a pea size of the cleanser with your palms like how I did mine before applying it on your face. It also has micro capsules that pops when in contact with water, gently exfoliate your skin before dissolving altogether. Although it is said to give a defined face shape after continuous usage, I was unable to notice any difference (finds corner). There are some blogger whom sworn on reduced face puffiness though, so it works differently for everyone. I personally prefer my cleansers to be foamy type because psychologically, it felt cleaner (but some of these products can be rather drying to the skin) so I have to be very careful. 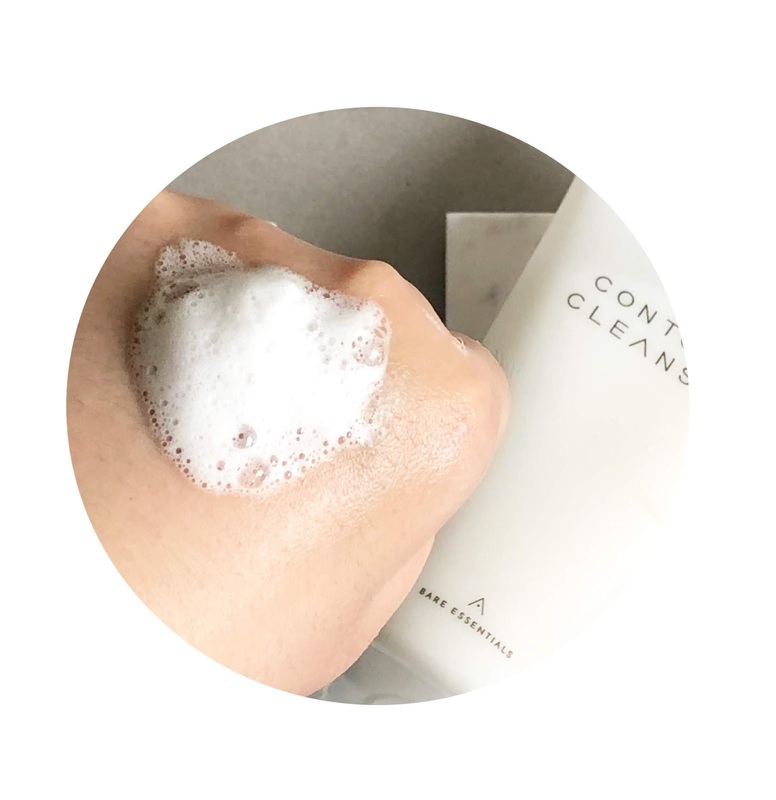 Not only is the Contouring Cleanser very gentle, none irritating to the skin and somewhat soothing because of lemony scent, it also has mild cooling effect by methol. Plus point! The micro capsules tend to dissolve faster when lathered up, so if you might want to consider using it with a little water directly on your face every alternate days for a more effective exfoliation. 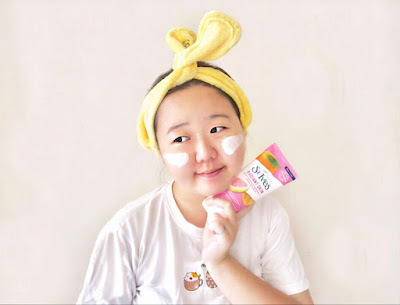 The Contouring Cleanser retains some moisture, so it's suitable for all skin type. As it is a very basic facial cleanser, you will still need to use your daily makeup remover. Still the RM23 pricing is considered reasonable for a 150g product. The Snow lotus is considered one of the rarest and most precious herbs in the world, found only in remote areas of Asia. Once a favorite herb among beautiful women of the Chinese Imperial Court for its beauty enhancing benefits; brightening, fixing dark spots and superior anti-aging. 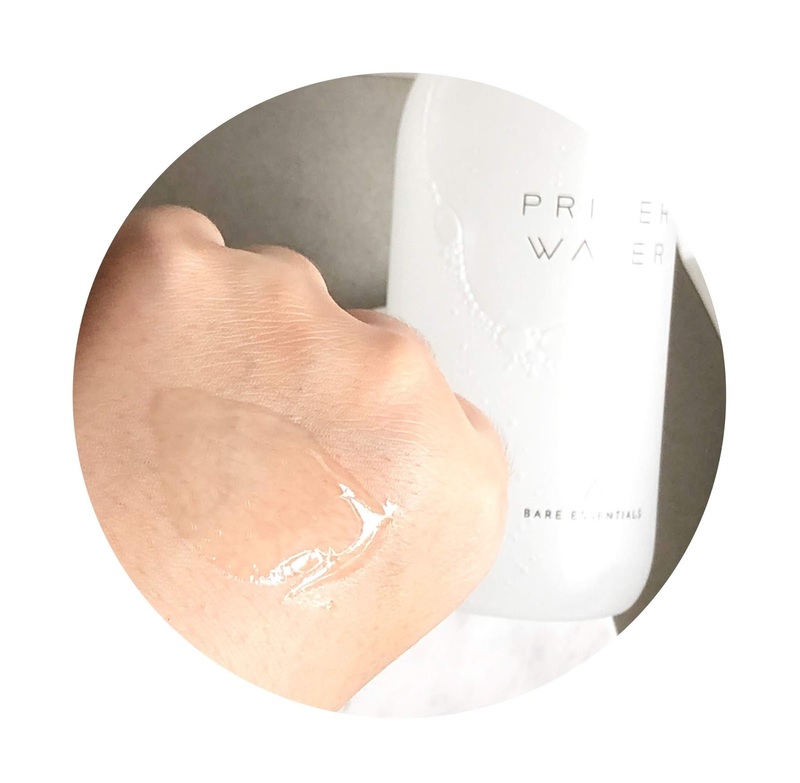 Together with Patented Dewdrop technology, the Primer Water facilitate youth preservation by revitalizes the skin with immediate moisture boost; prepping the skin for the next step. I was all hyped up when I first found out this skincare product is a 2-in-1; containing both toner and primer in an elegant-like 200mls bottle. Speaking of absolute convenience with looks! Out of all the 3 steps, Step 2 is no doubt my favorite! It may looks rather thick in the recording, but actually it's not. 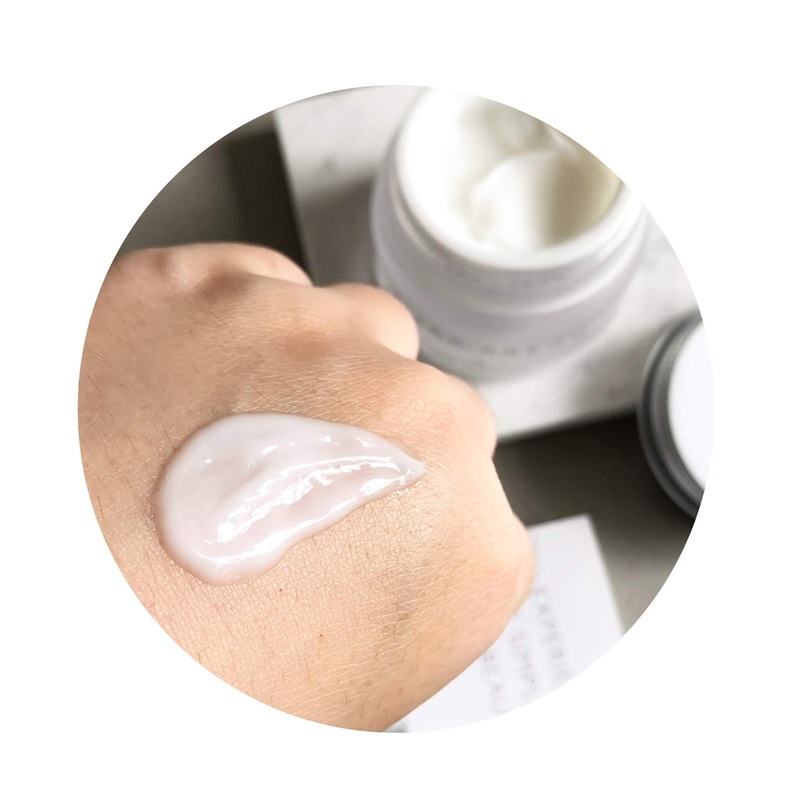 When spreading it out evenly, you will notice the texture turns to almost water-like fluidity and it takes only mere seconds before fully absorbed into the skin. 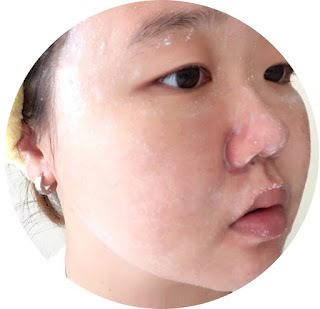 The best part is I don't feel any tackiness or oiliness immediately after application, which is different from my expectation because most primers somehow or rather will have that tacky sensation. I sometimes use it as a hydration mask by soaking compressed beauty mask in the cover and it works like miracle. Final verdict, I would irrevocably repurchase this water energy. Only RM43 but with such high quality and versatile functionality of 2-in-1 (Oh, and no stingy sensation like those alcohol toners), I would say its a good deal closed. Last but not least, would be the Step 3; the Fixer Cream. Housed in a glass-like frosted exclusive container, this final step moisturizes the skin up to 24 hours! Trehalose is a powerful humectant, a natural sugar found in the cactus which helps them to thrives well under harsh environment of the desert. 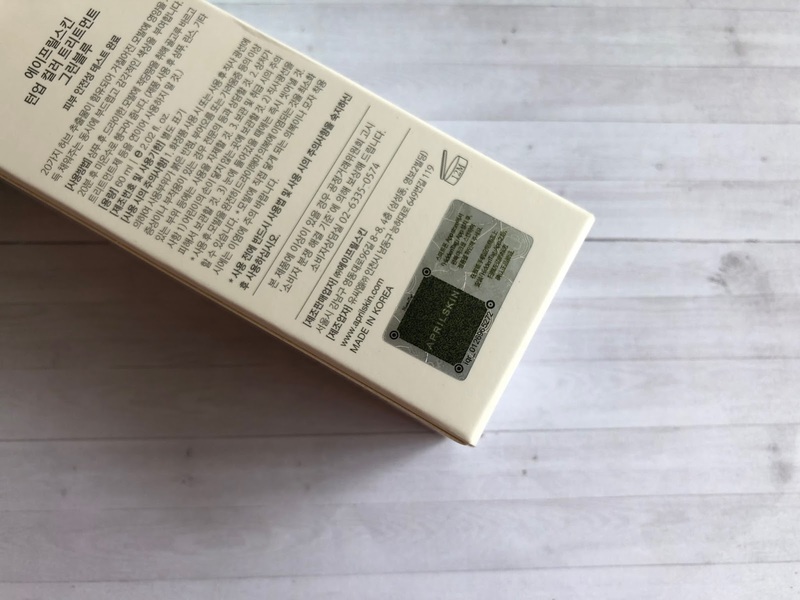 It retains moisture of the skin, after the work of highly anti-oxidant Wild Green Tea (preventing free-radical damages with skin soothing benefits). Baobab Tree Extract is an amazing none-greasy moisturizer that double role as a collagen boosting agent and packed with highest antioxidant content of any fruits. Personally felt this cream is also very light-weighed and cooling when left on skin (like the picture on the above). Although I do agree it is relatively almost none greasy when fully absorbed (in comparison to other cream based moisturizers), I am however very cautious when trying out cream-based products because simply of my combination skin. Most people may have it dewy, but mine would stand out like a mirror within hours. I think the Fixer Cream is overall a good product but it's just that I may use it sparsely (like after some thorough deep pore cleansing to give it some hydrating protection, you get what I mean). Still would recommend highly it to those with dry to normal skin type. The Fixer Cream weights 50g and is available for reasonable RM50. Overall, I like the Bare Essentials (Especially the Primer Water) because of the light-weight yet rich texture and the simplicity of it. If you think that skincare is sometimes too much to maintain, I would say this is the right product for you. Sometimes, less is more. You can find them at Althea Korea under the exclusive section. I have 2 sets of Bare Essential sample kit to be given out for those who are keen to experience the minimalist skincare steps. Each selected readers will be receiving 3 sachets as shown above, plus a surprise cosmetic product from me as a little thank you gift for all the love showered. P/s: Winners have been contacted privately :) Congrats to all of them. 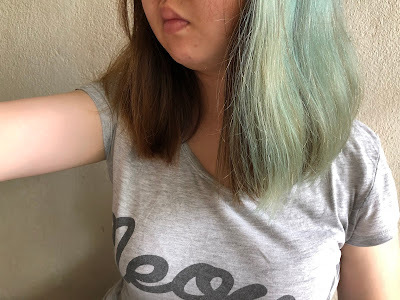 It has been 6 months since my last hair bleaching experience before my trip to the Philippines (Click HERE to read more about my experience with the chemical hair treatment). Anyway, I am really undecided about what to do with the faded segment because it doesn't look attractive and due for some treatment. The tube holds 60mls which is okay compared to MISSHA'S 7 Day Coloring (miserable 25 mls although the end product is satisfactory). I liked how they come with disposable drape and glove to prevent messy stains. 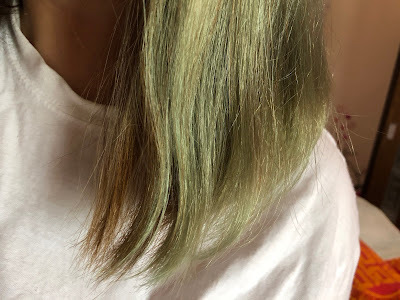 The product comes out as dark teal paste and smells fresh like some hair shampoo. The scent does linger on until after 1 or 2 washes but I don't find it distracting. You can see the original color have worn off after washes and is left with the bleached undertone. 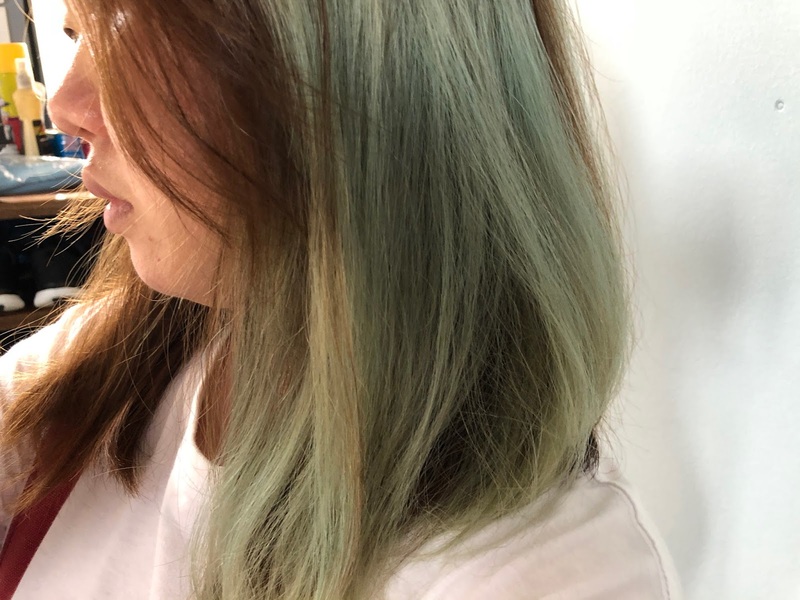 The color was more beautiful from what I expected! 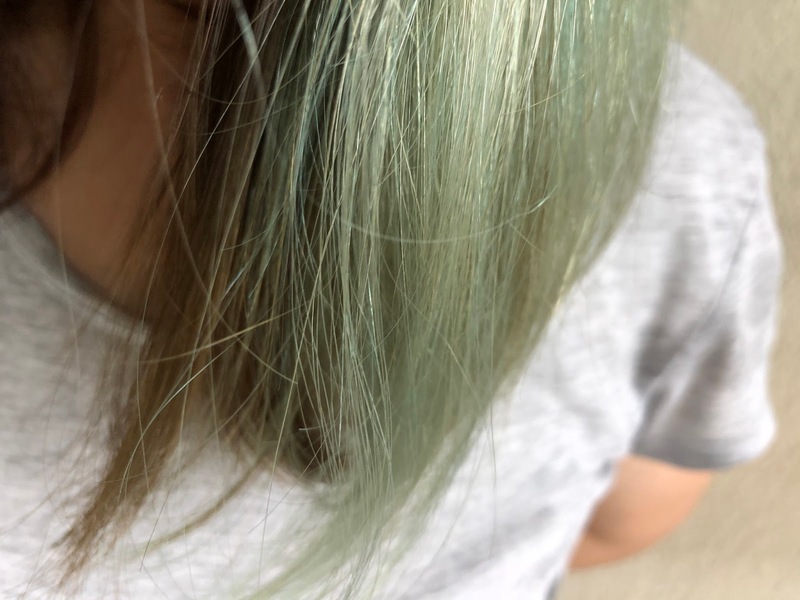 Mixed of blue and green. 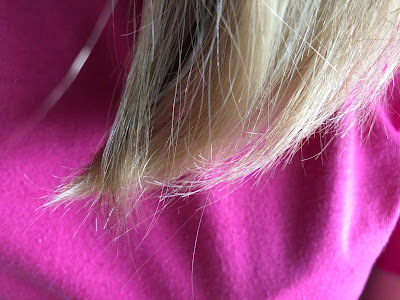 TIPS: Apply the treatment directly on your hair straight from tube rather than the glove because I noticed the area of first contact tend to have a darker color. No idea how the science behind this works. There is some color left although most colors have faded. My hair now have 3 shades; light blue, light green with slight bleached undertone which varies with different lighting. Still pretty to look at and it should last me another 1 week before fading of completely. My hair texture has reverted to its original condition and requires the usual conditioning to take out all the kinks. I would repurchase this product so long I have the bleached segment with me. It's definitely an affordable yet stylish option for those on tight budget yet enjoy changing hair color on bi-weekly basis. 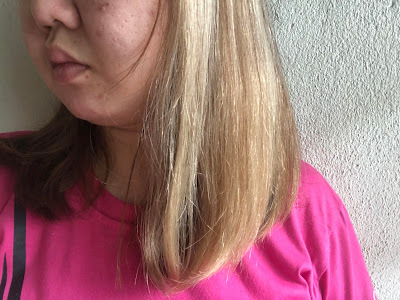 I did not tried on the unbleached part for comparison because of my profession (sikit sikit masih boleh sorok-la) and also the color may not show and treatment effect wasn't long lasting. Disclaimer: This product is purchased with my own money and not associated with any company. 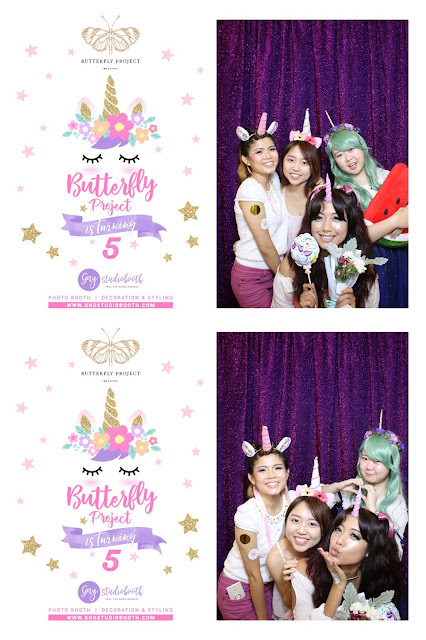 Last April 1st (No, it's not an April Fool prank) marked The Butterfly Project's 5th Birthday! Thanks to Tammy, the beautiful woman behind the idea of The Butterfly Project, the celebration was hosted successfully in an extraordinary manner. 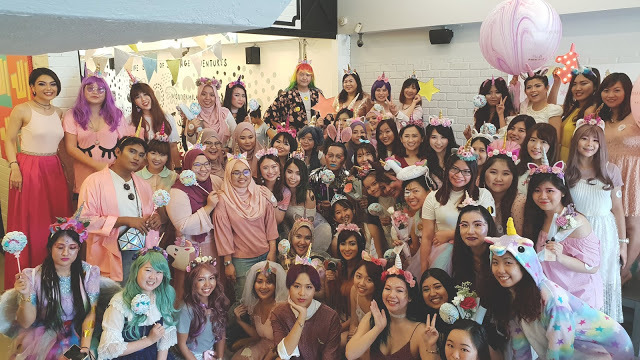 Who would ever believe the dream of attending a magical Unicorn theme party would come true?! This post is going to be a long one but I promise you it'll be good. Pastel purple pink floating balloons greeted us the moment we enter the party. Something about those balloons must have triggered the childhood memory in us, suddenly everyone wants to take picture with them. An activity card is a really good idea to keep everyone in track of things they should look forward to. Besides coloring auto-inflate brrrloons, every Unicorns also get to pick their favourite flowers at the Everyday Flowers bar 🌺 OMG YESSS!!! Honestly speaking, there isn't a pretty face without a smile after visiting the flower bar (It's not everyday we ladies and gentlemen get to receive flowers). I find it's one special way to bring a part of the celebration home. Hence if you are looking for a fresh change in throwing a party (for event deco or something your guest can take home) and at the same time charming the ladies *wink*, Everyday Flowers would make a good choice. I swear no one would ever guess rightly on this one. 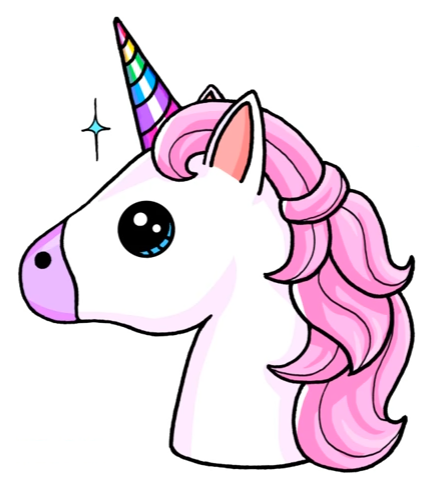 How can you be a Unicorn without THE horn?! We are 100% against unicorn hunting, so get the artificial ones from any online store; there are many beautiful designs and colors from you to choose from. I opted to make mine from scratch, twisting jumping clays (because they are super light weight and available at Mr DIY for only RM3!) together and painting them with eyeshadow. To make it last, I topped it off with transparent nail varnish. go creative and find one that fits the emerging Unicorn in you! I have always believed the most valuable present someone could give is the moment of joy captured in time and apparently, I wasn't the only one who held strongly to that belief. It's really great to have Glitz&Glam Studiobooth (in short GNG Studiobooth) back again since #BUTTERFLYTURNS4 birthday. Absolutely love the purple Holographic unicorn-inspired backdrop and customized props for us to have fun during photo taking. Click HERE to see the GNG decos we had for last year's party :) Managed to snag 2 sessions with them despite the high demand and GNG was super efficient having said being the 1st Boomerang Photobox to provide unlimited photo printing for each event. All I did was enter my email on the spot. Both the Boomerang and photos was sent right away to my inbox and the photos were ready to for collection. The printout quality is 100% waterproof and anti-fingerprint! 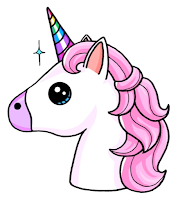 What's in my Unicorn Party Pack? We all went home like happy children; many thanks to the dedicated members behind this party and most importantly, Tammy-san. 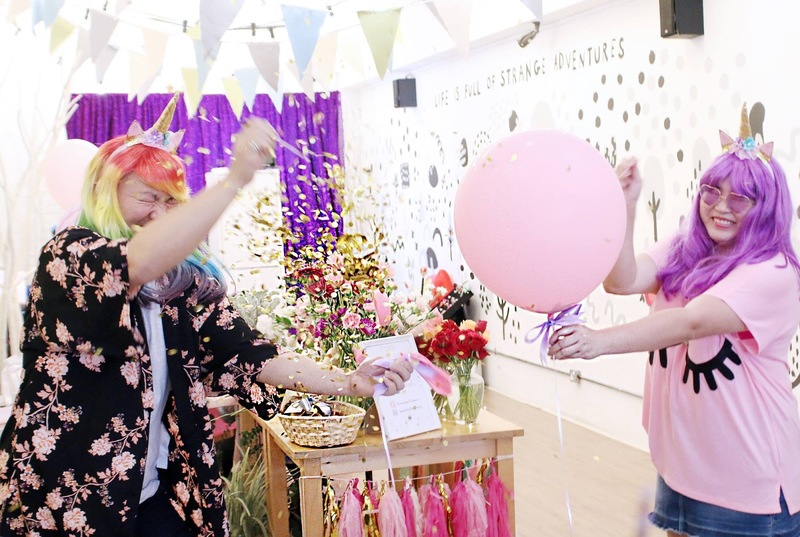 From venue arrangement to the party pack, she got these cute little unicorn paper bags and designed the invitation card and party banner herself. Thank you Tammy!! Time to reveal what's in the bag! Understanding the REAL needs of those who enjoy travelling, belif Malaysia pampered us with their Best Sellers On-The- Go. This handy travel pack contains 5 essential items that keeps your face chiok chiok regardless where you are; rain or shine. On-The-Go set is available for grabs at their online store HERE and all belif Malaysia physical stores. They are all available at NYX Stores & online retailers. I received the very natural looking lashes No.30 (which is just my type) and will be definitely checking the rest out at selected stores of Watsons & Sasa Malaysia. 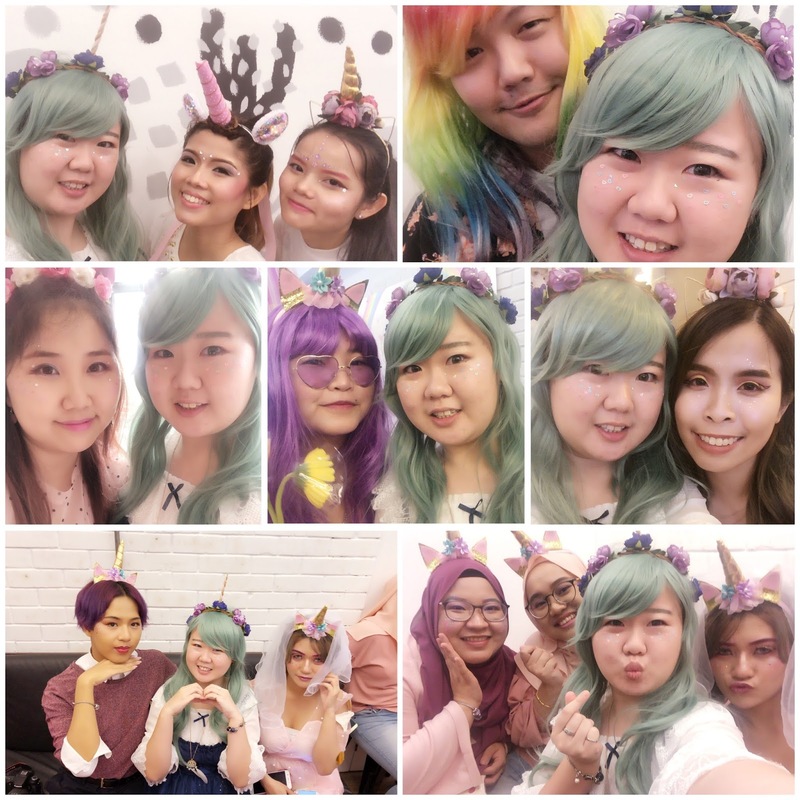 Wanderlust Things is an online store that answers all prayer of Unicorn, Mermaids and any magical beings who love stationeries and minimalist items. Here is a beautiful gold Unicorn Necklace that magically appears in my party pack. Thank you Wanderlust Things! I have heard of Dear Beaute (Japan) but never did I expect they'd join in the fun! These Himawari Hair Care Samples is something I would definitely bring to my next 3D2N travel. Guardian online is having sales for Dear Beaute (Japan) HERE and they are also available at selected physical wellness stores e.g Watsons & Sasa Malaysia. I hope you enjoy this post as much as I do and may it helps in hosting your next Unicorn party!